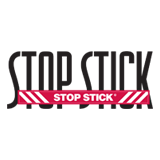 CINCINNATI, OH - June 15, 2016 – StopStick, Ltd., makers of the industry leading Stop Stick® tire deflation device, have recognized Dallas County Sheriff’s Department with its’ “Hit of the Year” award. Over 1,500 documented, successful deployments from 2015 were reviewed in the selection process of this award. 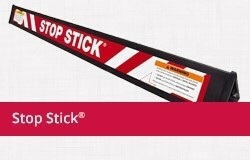 After careful consideration, the committee has selected Deputy Katrina Caldwell-Russell of the Dallas County Sheriff’s Department for the Stop Stick® Hit of the Year award, based on the type of offense, success of the deployment and impact to the community. In June 2015 Deputy Caldwell-Russell was on her way to another call when she heard the Dallas police headquarters had been attacked, and police officers were pursuing the gunman in a high-speed chase that was headed in her direction. Deputy Caldwell-Russell assisted in ending the high-speed pursuit of the gunman by quickly and successfully deploying Stop Stick® tire deflation devices, disabling three of the vehicle’s tires and providing police the opportunity to stop the gunman’s vehicle. 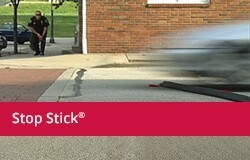 After the Stop Stick® tire deflation devices successfully stopped the gunman’s vehicle, the gunman began firing again on policewho were attempting to set up a perimeter. Dallas SWAT was able to eliminate the gunman before any officers were injured. Pipe bombs inside the gunman’s van caused it to catch fire, and as the van burned, ammunition inside the van could be heard going off. 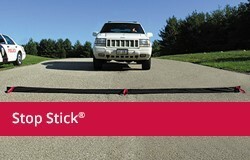 “Deputy Caldwell-Russell’s quick, decisive decision to deploy Stop Stick® tire deflation devices merited recognition because her actions prevented a life-threatening situation from escalating and endangering the lives of police and the community-at-large”, said Andy Morrison, President, Stop Stick, Ltd.
Stop Stick® tire deflation devices have been effective in ending pursuits by deflating the tires of fleeing vehicles. The system protects the public, law enforcement and suspects involved in these dangerous situations by disabling the vehicle and significantly reducing the speed of vehicles involved in pursuits. 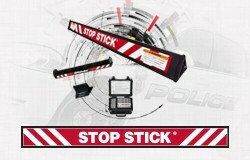 For more information on Stop Stick® and other products available to assist law enforcement in protecting the public, please contact Stop Stick, Ltd. at 800-537-01012 or email .